This year, there are many earthquakes hit Indonesia. One of the biggest was happened in Padang area in West Sumatera province. More than 1000 people died while other thousands are injured. Some other were lost, never been found. Many houses and buildings are ruined and even collapsed, included one of the finest hotel in Padang, Ambacang Hotel. 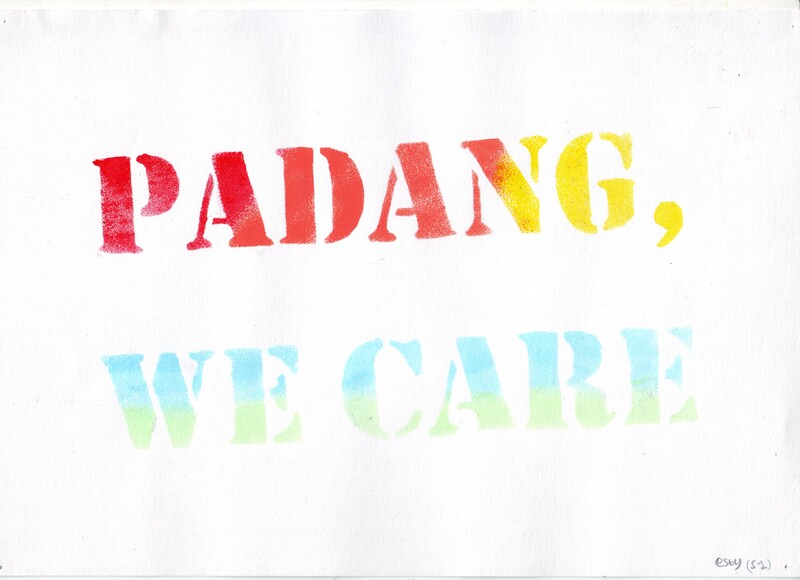 We held fund-raising event to collect money from students and parents, and teachers as well, and all the money was donated to Padang earthquake’s victim. Similar with last year’s project, I arranged a student’s project to share our empathy for those victims. We made a simple poster as individual work. 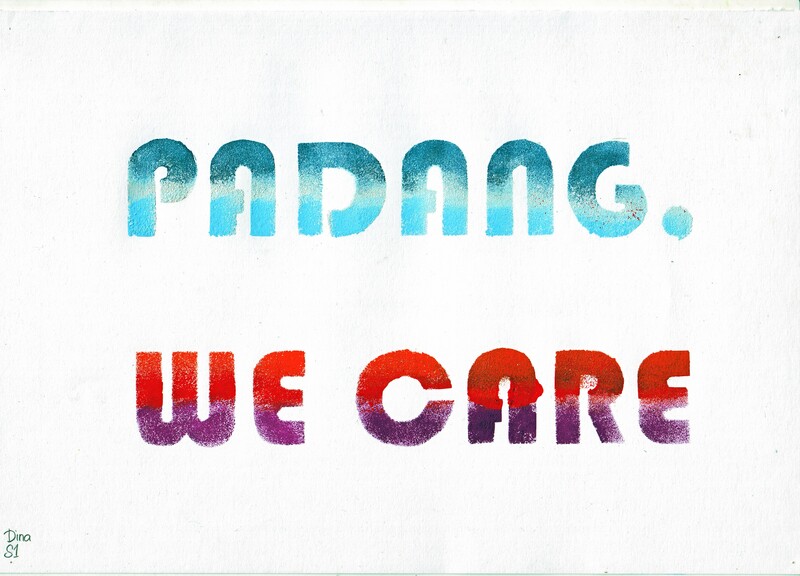 It is an introduction to Silk-screen printing concept, and the students make simple artwork based on that skill. 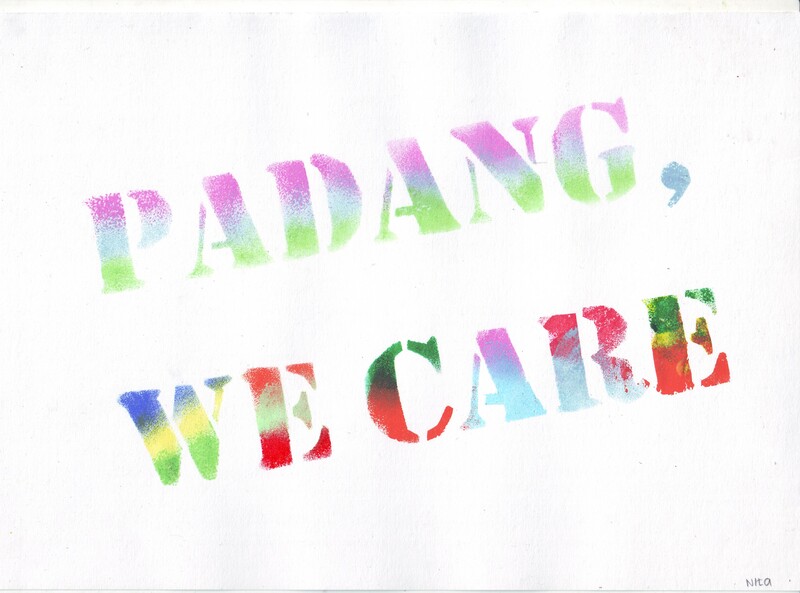 The theme for this assignment is “Padang, We Care” while last year’s project was entittled “Love for Gaza“. This entry was posted in student's works and tagged artwork, care, my students. Bookmark the permalink.